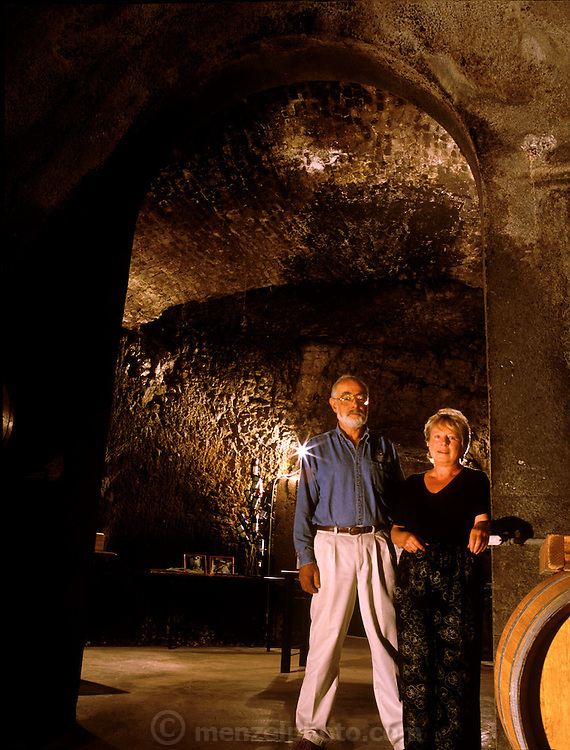 Jerry and Sigrid Seps who owns Storybook Mountain Vineyards display their wine cave which still shows pick marks left by Chinese laborers over a Century ago. Napa Valley, California. MODEL RELEASED.